When I woke up on Tuesday, I learned about a new chapter in my autobiography: It turns out that in addition to being Israel’s ambassador to the United Kingdom between 2007-2011, I was also chief speechwriter for senior members of the British Parliament. While this is very flattering, it is best that we focus on who made this accusation: Labour Party leader Jeremy Corbyn. According to Corbyn, the Jews are in control of the British media. Jews, and hence the Israeli ambassador, force the UK prime minister and other legislators to do their bidding on the public airwaves. The Jews also have a strong grip on the global economy. Despite saying all this, Corbyn insists that he is not an antisemite. As President Abraham Lincoln once said, you can fool all the people some of the time, and some of the people all the time, but you cannot fool all the people all of the time. I met Jeremy Corbyn for the first time in 2008, against the backdrop of Operation Cast Lead in the Gaza Strip. He was spearheading a demonstration in front of the Israeli Embassy in London that was replete with Hamas and Hezbollah flags. He was vocal in his opposition to Israel’s efforts to defend itself, insisting that the rocket attacks on Israeli communities were a result of the “occupation” of the Gaza Strip. He could not be bothered with the fact that thousands of rockets were being fired at Israeli communities, or that Israel had left Gaza several years earlier. In 2010, as I was about to leave London to become Israel’s envoy to the United Nations, I was impressed by Corbyn’s method of proving he was no antisemite when he compared Israel to the Nazis, and said that Israel’s military blockade against the terrorist entity in Gaza was as bad as Hitler’s siege on Stalingrad. Several prominent Labour activists who have identified strongly with their party’s embattled leader have hit out at former UK chief rabbi Jonathan Sacks for his fierce criticism of Jeremy Corbyn on Tuesday. Following his comments, numerous pro-Corbyn figures began a smear attack on Sacks, seeking to discredit him and his views, due to his highly respected standing within the UK media and political establishment. Vocal Corbyn supporter and columnist for The Guardian Owen Jones took to Twitter to attack Sacks for having written a blurb praising a book by Right-leaning author Douglas Murray called The Strange Death of Europe Immigration, Identity, Islam, which raises concerns about mass immigration and multicultural policies in Europe. Jones pointed out that Murray “favorably cites” Enoch Powell, a Conservative politician active in the 1950s, 60s and 70s, who gave a notorious speech in 1968 known as the “Rivers of Blood” speech, where he criticized mass immigration into the UK, and which was castigated as racist and divisive. Sacks himself, in his criticism of Corbyn, said that the Labour Party’s 2013 speech in which he said “Zionists” in Britain “do not understand English irony” was the worst political speech since Powell’s. In response to NGO Monitor’s research on government funding for civil society organizations, OmVärlden, an online magazine owned by the Swedish International Development Cooperation Agency (SIDA, the branch of the government responsible for international development aid), published today twelve (!) articles making numerous false accusations about NGO Monitor. The articles, wholly inappropriate for a government agency consist almost entirely of innuendo, factual inaccuracies, and, most alarming, antisemitic motifs reminiscent of the Protocols of the Elders of Zion (spider web, conspiracy theories). The absurdity of the “evidence” for this conspiracy theory reflects the desperation of the actors involved. These claims are accompanied by statements by activists from Israeli, Palestinian, and Swedish NGOs (including Breaking the Silence, B’Tselem, Al-Haq, Hamoked, and Palestinian Solidarity Association of Sweden), all of which have received funding from the Swedish government (SIDA) and have been criticized as a result of NGO Monitor research. The two journalists behind this obsessive series also have clear ideological bias regarding Israel. The timing of the articles’ publication in a government-owned outlet is noteworthy – nine days before Swedish elections and following a series of articles critical of Swedish aid. The use of antisemitic imagery by OmVärlden reflects the need for an independent factual review of Sweden’s engagement in the Arab-Israeli conflict through its support to civil society and highlights the importance of NGO Monitor’s critical voice. Succeed it did. By 2014, with more than 500 workers, SodaStream was among the largest private employers on the West Bank. Unsurprisingly, champions of the Palestinian cause denounced Birnbaum as anti-Palestinian. In particular, advocates for BDS (the campaign to delegitimize and demonize Israel through boycotts, divestment and sanctions) accused him of stealing Palestinian land, profiting from the "occupation," and exploiting Palestinian workers. "Suddenly," Birnbaum recounted to me over dinner in Tel Aviv three years ago, "I'm a walking war criminal!" BDS lobbyists were particularly effective in Europe. They persuaded retailers in Sweden to tell Birnbaum not to send them SodaStream products from the West Bank. Those retailers had no problem receiving merchandise made in China, a country where about a million Muslims are right now incarcerated in "re-education camps"; that occupies Tibet (offering no "two-state solution"); and where persecution of Christians and other minorities continues to worsen. When Birnbaum needed a new and bigger factory, he decided not to build in the West Bank but instead to relocate to the Negev Desert, well within the "armistice lines," the temporary borders drawn in 1949 when the war between the fledgling Jewish state and the Arab nations surrounding it came to a halt. The new factory employs 1,400 Bedouins, many of whom have never before had regular jobs with regular paychecks. BDS social warriors began attacking Birnbaum again, this time accusing him of exploiting the Bedouins. The local Bedouin sheikh told them to pound desert sand. The news of PepsiCo's purchase of SodaStream makes one thing abundantly clear: While the BDS campaign managed to deprive Palestinians of good jobs, it failed to prevent the company that had provided those jobs from becoming an enormous international success. Also significant is the fact that PepsiCo is the buyer: Years ago, it was one of the companies complying with the Arab League boycott against Israel. Perhaps the justification for my water obsession is proven in the photos of British policemen in WW2 German-occupied British Channel Islands, arresting and deporting 16 Jews to their fate in Nazi concentration camps. A precursor for all those on the mainland. Yet it was Britain, standing alone that held back a German invasion to win a war in defense of its values and its own salvation. Nevertheless, the post-war Labour government lost the peace for post-Holocaust Jewish survivors, condemned by British Palestine policy to internment camps in Germany and Cyprus until 1948, Israel’s independence. Mr. Corbyn, British Jews are staunchly British, but have the right to be concerned for their co-religionists, whether in 1945 to 1948, Soviet Jewry in the 1970s and 1980s, Jews in Muslim countries or threats to Israel. 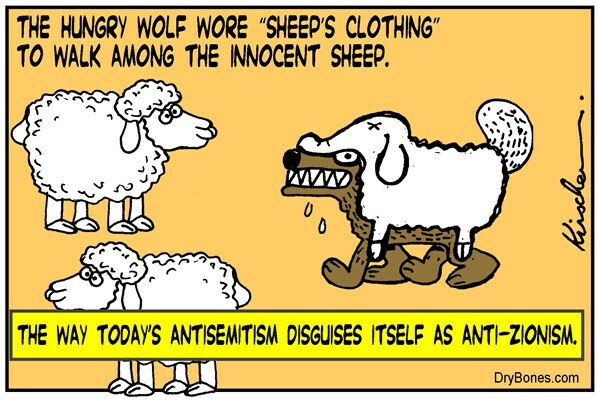 Indeed ironic, for so many of these so-called “Zionists” were dedicated voters and members of the Labour Party. The Maccabee Task Force, the initiative funded by billionaire philanthropist Sheldon Adelson targeting the campus BDS movement, will double its presence to 80 campuses and for the first time will operate in Canada. In place since 2016, the task force works with pro-Israel students on programs countering activities of the Boycott, Divestment and Sanctions movement targeting Israel. Last year it funded programs on 40 campuses, chosen because of the intensity of BDS activity on the campus. The task force sends representatives to campuses and solicits ideas from pro-Israel students and groups on campus, and then funds those that it deems viable. Its most successful program has been to recruit influencers on campus – including student leaders who might already favor BDS – and send them to Israel on fact-finding tours. In an interview Wednesday, David Brog, who directs the task force, predicted that 70-75 of the 80 campuses Maccabee task force will assist this year will include Israel trips. For the first time, the task force will operate on four or five campuses in Canada, Brog said. Maccabee Task Force does not publish its expenditures, but a spokesman said that it spends in the low six figures per campus, suggesting that it will spend at least $8-10 million this coming year. Berlin Falafel Wars: A Microcosm of Changing Sentiment Towards Jews in Germany? A small protest in Germany’s capital city on August 11 revealed a cross-section of national attitudes towards Jews and Israel, and perhaps a symbolic stance on a much larger problem throughout Western Europe. On that day, three Jewish protesters stood directly across from a falafel stand. They had successfully appealed a police demand that they move to a side street, citing their right to assembly. The owner of the stand was not present — presumably on vacation. The falafel is supposed to represent a universal symbol of peace — a bond between Muslims and Jews, even as the Middle East fries in violence. But in Berlin, it has become a cause for concern. The tree-lined Kollwitzplatz that is home to a Saturday market has become an unexpected pressure-cooker for Jewish-Muslim-German relations ever since Zeev Avrahami, an Israeli journalist and restaurateur based in Berlin, started a demonstration two months ago at the “1001 Falafel” stand belonging to a Palestinian immigrant named Mohammed (whose last name has been concealed in the German press), who left the West Bank 30 years ago. “This person should not be able to run a public space in Germany,” Avrahami said in a phone interview while on vacation in Israel. Antisemitism in France has moved “from the streets directly into the homes of Jewish people,” the head of the country’s 465,000-strong Jewish community told The Algemeiner on Wednesday. “The Jews in France feel threatened in their own homes,” Francis Kalifat — president of CRIF, the French Jewish communal body — said during a discussion of the antisemitism that has resulted in several deaths and injuries among French Jews over the past decade. In the last eighteen months, two elderly Jewish widows in Paris — Sarah Halimi in April 2017 and Mireille Knoll in March 2018 — have been murdered in brutal antisemitic assaults, while several incidents of violent raids on Jewish homes involving gangs of mainly Muslim youths have also been reported. Sadly, as Kalifat acknowledged, the problem is not new — though the pattern of Jewish response is changing. Four headstones were toppled at a Jewish cemetery in New Jersey over the weekend. The toppled headstones were discovered on Sunday at the Congregation Agudath Achim Cemetery in Freehold Township in New Jersey. The headstones were pushed over sometime on Saturday or early Sunday morning, according to local reports. No other acts of vandalism were discovered in the cemetery, the local Asbury Park Press reported. The headstones were not significantly damaged, according to the report. One of the headstones belonged to a World War II veteran, Michael Berman, executive director of the Freehold Jewish Center, which operates the cemetery, told local media. The Government of Israel says it stands ready to help every person in the Pacific have access to safe drinking water. The Director General of Israel's foreign ministry, Yuval Rotem, told PACNEWS Israel was ready to share the technology that had allowed it to produce one third of its own drinking water and recycle 90 percent of waste water for use in agriculture. Mr Rotem said to stop Pacific countries becoming "forgotten islands", Israel could help them turn brackish water into drinking water using desalination plants and enhance food security with drip irrigations systems. This year Israel provided Papua New Guinea with dialysis units and a portable water treatment system. In another coup for Israeli chefs worldwide, the London edition of the Time Out entertainment guide has ranked chef Assaf Granit's restaurant The Barbary at the top of its latest list of the 100 restaurants serving the "freshest, most inventive, and most memorable" food in the city. "It's not possible to have a bad time at The Barbary," the magazine wrote. "What they've done is taken ancient recipes from across North Africa and the Middle East that have gone on to influence food in today's Israeli kitchen, then reimagined them." The magazine also praised the atmosphere in the Covent Garden restaurant, describing it as "stuffed full of music, laughter, and people that are beautiful in the best way: inside and out." An Israeli bone marrow donor who saved the life of Ottawan radio host and leukemia patient Stu 'Stuntman' Schwartz flew out to Ottawa to meet the man whom he says actually helped him, by giving him the opportunity to save a life. In 2016, Majic 100 radio host and Ottawa Senators announcer Stu Schwartz was dumbfounded when he was diagnosed with leukemia. Given three months to find a bone marrow donor, the options appeared bleak. Ezer Mizion, a non-profit organization with the largest international Jewish bone marrow registry in the world, found the match that saved Schwartz's life. David Levi, a 50-year-old Israeli man, was the knight in shining armor. In March 2018, he and Schwartz finally met face-to-face. The two, now sharing DNA, embraced upon their initial encounter. Although Schwartz repeatedly thanked Levi, the donor insisted that the thanks should be the other way around. Levi, in his humility, explained how simple it was to donate bone marrow, suggesting that more people should do so. Salina, Kansas (Tribune News Service) - August Bondi, a Jewish-American immigrant devoted to the abolition of slavery, was honored with a historical marker in Salina, Kansas this week. Bondi served in the Kansas Volunteer Cavalry in the Civil War before moving to Salina and serving as a postmaster and judge. The city of Salina, Salina Heritage Commission and Smoky Hill Museum will dedicate the historical marker at 5:30 p.m on Thursday at the museum. Jerry Klinger, president of the Jewish American Society for Historic Preservation, initially contacted city staff about the marker in October 2015. Klinger, who will speak about Bondi during the dedication, said the marker will celebrate Bondi's support for freedom and his opposition to slavery. "Kansas is a diverse, active and rich state, with a history that deserves to be remembered and honored," Klinger said. According to information provided to the Salina Heritage Commission, Bondi and his family left their native Vienna, Austria for America in 1848 when Bondi was 15 in the wake of an unsuccessful democratic revolution. In 1850, Bondi went to work as a sailor on a freighter that went up and down the Mississippi River and into the Gulf of Mexico. When the ship was docked in Galveston, Texas, Bondi observed the cruelties of slavery. To mark the 25th anniversary of the iconic film Schindler’s List, Universal Pictures will be releasing a remastered version of the movie in theaters on December 7. The film will have its picture and sound digitally remastered in 4K and hit theaters for a limited engagement in the United States and Canada. Universal – which released a remastered trailer for the film on Wednesday – said the new version “provides a stunning experience on the big screen, to match the power of the film and its significant themes.” The film studio said the movie will also be re-released in some international territories in early 2019. Ahead of the re-release, the film will also be screened for high school students and educators at free events around North America. The events are being coordinated by the USC Shoah Foundation, which Spielberg founded the year after completing Schindler’s List. For the first time, a Jewish symbol is on display in the lobby of Oslo's most exclusive hotel, which hosts the annual Nobel Prize ceremony. It took months of talks between the Grand Hotel, the local Jewish community, and the Jewish donors to reach an agreement to display the menorah in the hotel lobby. What apparently decided the matter was the high number of Jewish Nobel laureates, as well as the fact that the hotel has in the past displayed symbols of other religions. The 24-karat gold candelabra, which stands 65 centimeters (26 inches) high, is of the type used on Hanukkah, with eight main branches for each of the eight days of the holiday, plus a ninth that is used to light the others. It was donated by the Philipsons, Jewish natives of Oslo who now live in New York. The collaboration between the hotel and the local Jewish community started two years ago when the community held a procession in honor of a new Torah scroll for the city's Chabad House. Community elders said the parade, a tradition when a new Torah scroll is brought to a synagogue, was something that had never taken place in Norway. Itamar Barnea, 10, was hiking in the Upper Galilee, near Kibbutz Malkia, his home community, when he was eight years old, when he found an unusually shaped rock in the area between Tel Kedesh and the Dishon stream. He decided to take it home as a souvenir, according to a statement by the IAA. Itamar, an archaeology enthusiast, put the stone in a box and forgot about it until his mother spotted it a month ago during house cleaning. Curious about the object, she showed it to an archaeologist, Dr. Renate Rosenthal-Heginbottom, who transferred it to the IAA for inspection. “We were surprised when we were shown a rare figurine — probably the third of its kind found in Israel, about 11,500 years old,” said Ianir Milevski, head of the prehistory department at the IAA. “The statuette, which at first glance barely looks like it was carved by humans, was made by scraping and chiseling a pebble to resemble a pregnant woman,” he explained. It has now been added to the collections of the IAA’s National Treasures Department. To celebrate the 120th anniversary of the Second Zionist Congress, this week the American Zionist Movement (AZM) marked the occasion of the founding by Theodor Herzl with a public release and promotion of both the Statement of Principles of Zionism and its “Zionism Forward” campaign. The statement, adopted by the AZM board, consists of 28 national Jewish Zionist groups. AZM works across a broad political, religious and ideological spectrum connecting the American Jewish community to support Zionism, Israel and the Jewish people. The principles include, but are not limited to, “the sovereign state of Israel’s unconditional right to exist as the Jewish democratic homeland,” “the right of the people of Israel to live in peace and security” and “Israel’s centrality to Jewish identity and life,” according to the AZM. The Israeli government on Wednesday unveiled a new name for a secretive nuclear research facility in honor of late president, prime minister and foreign minister Shimon Peres, who was instrumental to its creation. Peres, who died in 2016, was put in charge of establishing the Negev Nuclear Research Center in the 1950s. Foreign researchers estimate that Israel has an arsenal of around 70 nuclear warheads, but Israel maintains a deliberate policy of "nuclear ambiguity." "Shimon aspired toward peace but he knew that true peace can be achieved only if our hands strongly grasp defensive weaponry," Israeli Prime Minister Benjamin Netanyahu said at a ceremony unveiling the new name Wednesday, which in English translation will be: "Negev Nuclear Research Center in the name of Shimon Peres." There is no place for "the weak" in the Middle East, the Israeli premier added. Netanyahu praised Peres was a "man of vision and action" and that the establishment of the Dimona nuclear reactor, as the facility is commonly known, was one of his top successes. Netanyahu first said that the center would be named after the late president in 2016, but it has taken almost two years for it to officially happen.